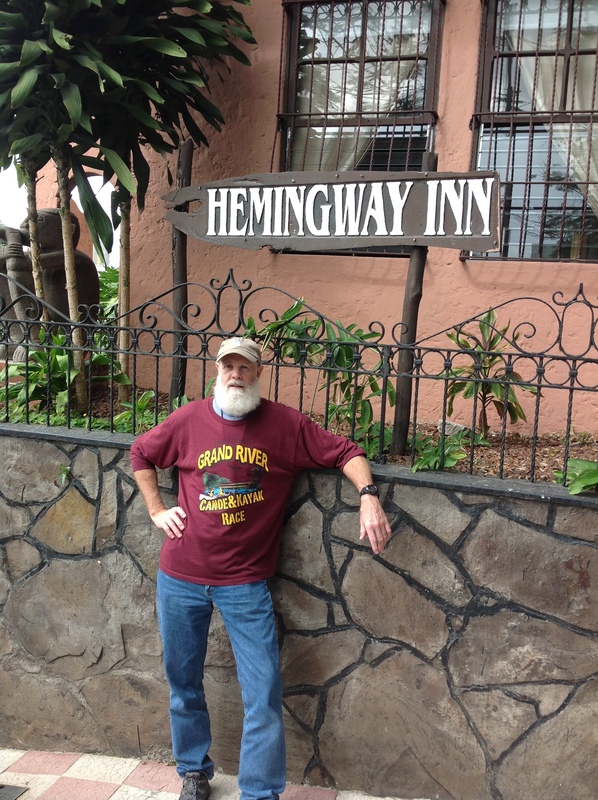 On Thursday Feb 24th Joan and I flew into San Jose Costa Rica. Our first taste of the local culture was the amusement park ride they call a taxi. Immediately we became aware that Ticos are much better drivers than Gringos. They are able to negotiate narrow streets with bumper to bumper traffic at alarming speeds while dodging darting pedestrians. Motor cycles are everywhere including between lanes. They turned a four lane highway into a seven lane highway. 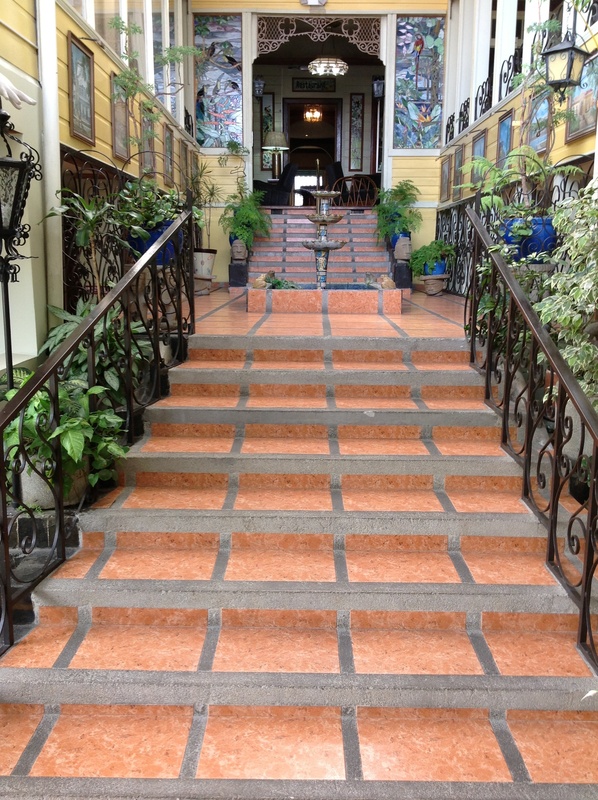 We stayed two nights at the Don Carlos Hotel in San Jose while waiting for our outfitter Costa Rica Rios to pick us up. The outside of many of the buildings did not impress me, but the interiors were often very ornate. We had plenty of time to look for a 12 pack to put on ice while we waited for Bill, Maryl, Karen, John and Diane to join us. On Saturday Jan 26th Costa Rica Rios picked us up in a bus and one beer stop and one pee stop later we were in Turrialba where we stayed at a B&B and met the rest of our group. Costa Rica Rios. The best Outfitter in Costa Rica. Sunday morning we selected our river crafts. I decided to test paddle a Dagger Nomad which is considerably different than my piranha H3. We paddled an easy section of Pejibaye. In addition to our guides we were 15 paddlers consisting of 8 kayaks 3 open canoes and four duckies. Four of the kayakers were from Quebec. I tried to explain their roles as probes but something must have been lost in translation, because they always seemed to let me go before them. 🙂 After lunch on the river we shuttled above our original put in and ran the section again. Everyone stroked well. 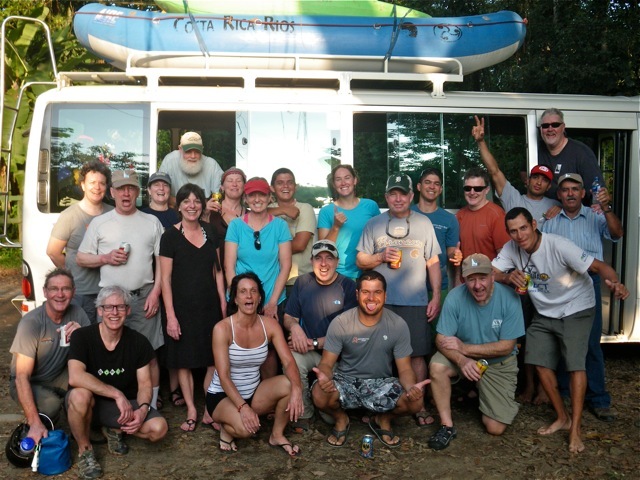 Monday we paddled a section of the Sarapiqui. It was a little more challenging where the river was inclined to run into the side of the bank before making a turn. On such rapid caught me bird watching and I promptly flipped and swam after two feeble roll attempts. I believe it had been a few years since I swam. I always knew bird watching could be hazardous. Tuesday we put in above our original put in on the Sarapiqui to pickup a couple of more rapids and give me an other shot at the rapid that foiled me the day before. Shortly we came to a rapid unlike any we had run so far. The river necked down and poured over and around some large boulders. It made me nervous that we got out to scout. The approach was easy enough but the drop finished in boofing off a pour over rock. The kayakers consulted with each other trying to get reassurance that we should run it. I believe one portaged and one swam. The rest of the group were in a raft or shredder. 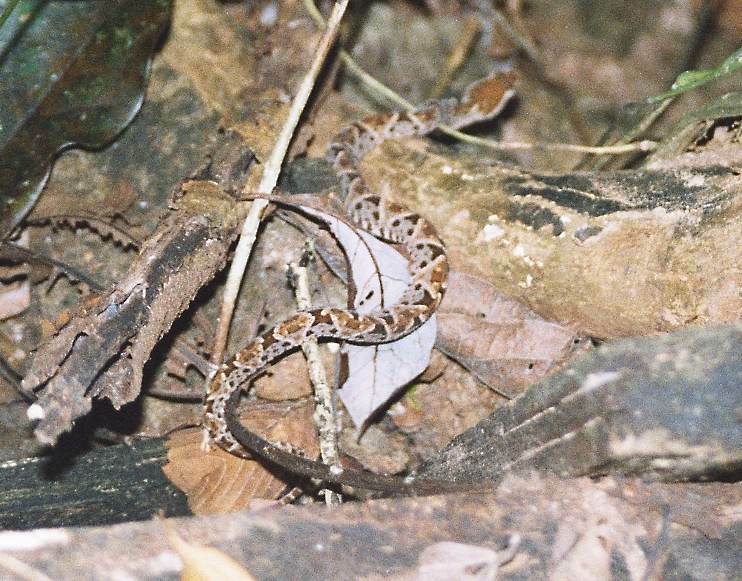 The guides manage to add some excitement to the night by dispatching with a Fer De Lance in camp. A two meter pit viper. Thursday was a day of rest for some and a day of terror for me. 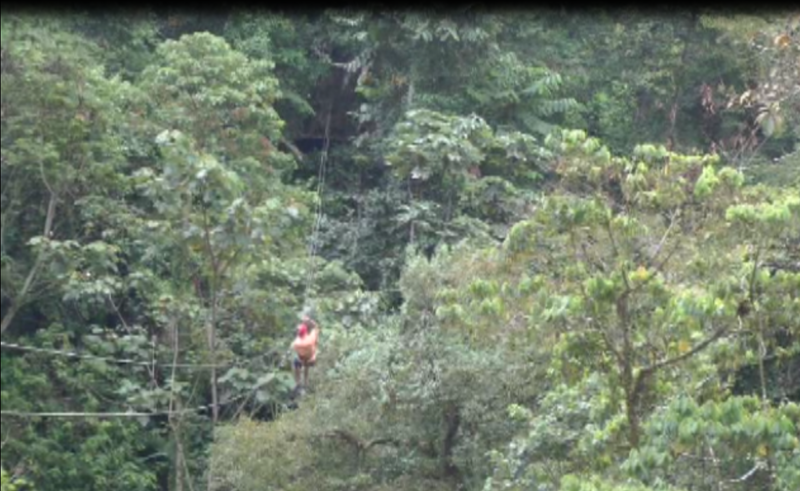 About half our group opted to take a canopy tour. Everyone said it was beautiful. I took their word for it because all I could see was the inside of my eyelids. 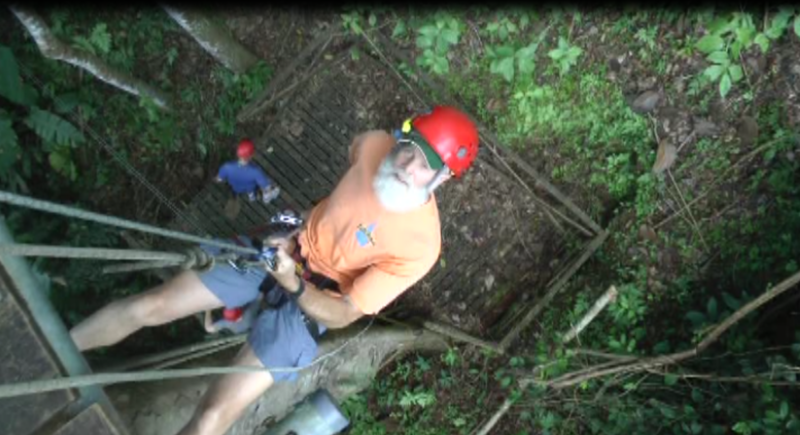 One of three rappels in the canopy tour. Thursday night the outfitter gave a talk about the challenges facing us on the next section of the Pacuare we would run on Friday. Consequently I was the only Kayaker left on Friday morning. Everyone else was in a raft except my buddy Bill who ran in the back of the group on a cataraft. I was able to follow my guide Walter who ran very good lines for me the hole day. The boys from Quebec finally ran prob but they were in a raft. On to phase two of the Costa Rica experience. Bill and Joan and I took a van to Puerto Viejo on the South end of the Caribbean side of Costa Rica. 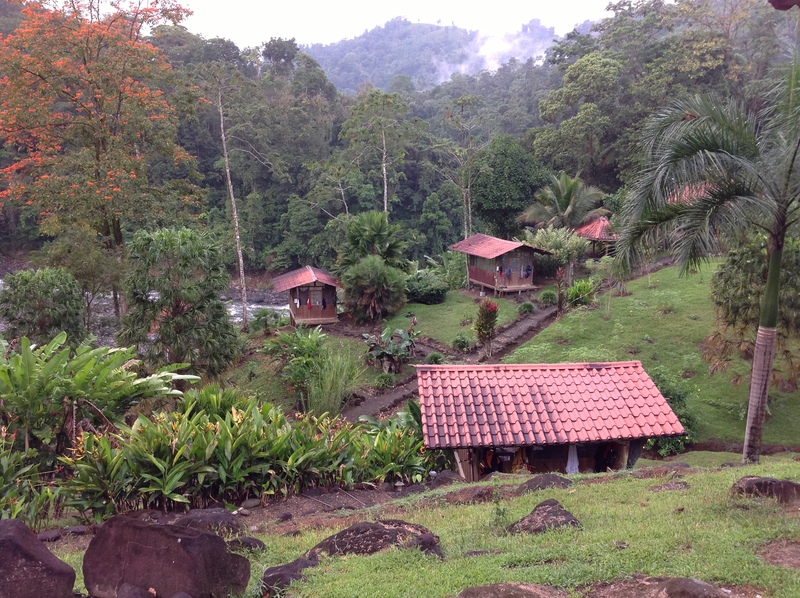 We stayed in the Casa Mamba at Finca Local Natural. We hung out on the beach, drank some cervezas eat, listened to Carter’s band (owner of Loco Natural) and watched the Superbowl in Spanish projected on a sheet at the Lazy Mon bar. At the beginning everyone picked a team and the rest of the night you got a free shot if your team scored. My hope was that the team I picked would win with nothing but field goals. Both teams scored so much I don’t remember who won. Everything is larger than life in the rain forest. The leaves on this plant dwarf my 2500 ccm backpack. Carter and his band playing at the Lazy Mon. Some sort of Green lizard we saw in Cahuita National Park. It was nearly a foot long. 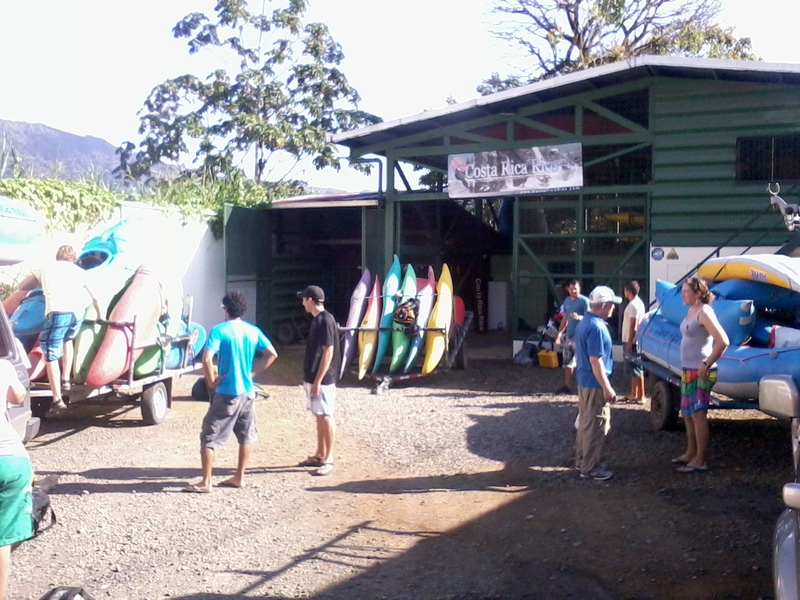 This entry was posted in Uncategorized and tagged Costa Rica, Kayak, White Water. Bookmark the permalink. 1 Response to Costa Rica Pura Vida ! pura vida! funny I thought the canopy tour looked a lot like the brim of my cap. I noticed all the roads led to “salida” a popular destination in costa rica. If you enjoyed the roads in costa rica you should try the roads in honduras.